Primroses are a welcome sight in the spring landscape. Their vivid colors and delicate fragrance are a promise that spring has really arrived! 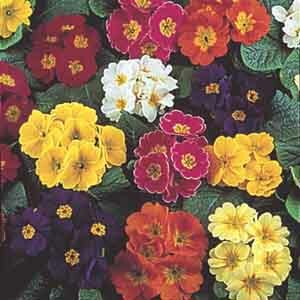 Primroses thrive in cool temperatures so don’t be surprised if the plants die back to the ground in the heat of summer. They should emerge again in autumn, or the following spring. This is a very popular plant for growing indoors in a bright location. Beautiful in shady borders and woodland gardens. Especially nice for mixing with spring bulbs. Perfect for all kinds of containers and makes a terrific gift plant in a small pot.